I keep forgetting to blog about this coffee, but today I finally remembered, so I shall! 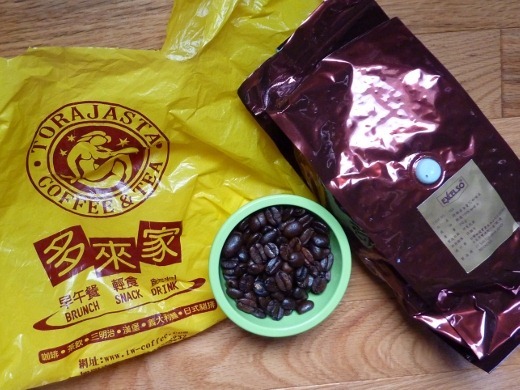 This summer, while visiting Michigan, my mother-in-law, a fellow coffee aficionada, brought me back a bag of coffee beans from one of her favorite cafes in Taiwan (Torajastar!? ), where she has been living during the school year for the past couple years. Prrrretty cool, is it not!? Check out the bag too. I’m happy to report it’s very good coffee too! Thanks D! On to other business… food. Specifically, today, we have SOUP! 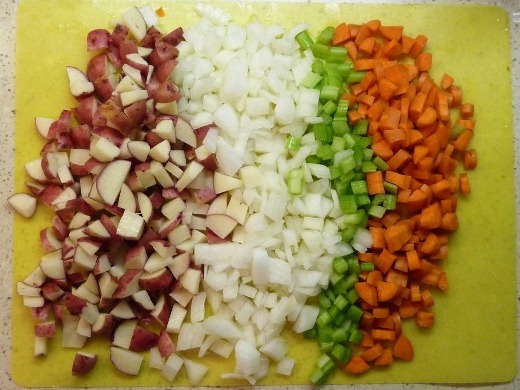 Oh, you so know that since it’s fall, the blog will again be inundated with SOUPS! (Not that the summer weather ever really stopped the obsession! Let’s be real here.) 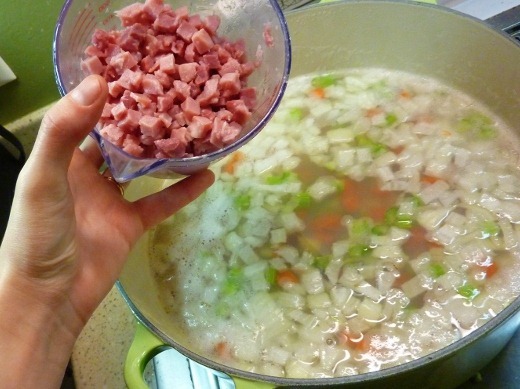 For tons of other soup recipes, click here! 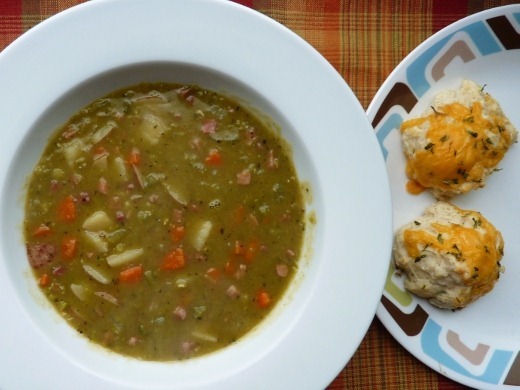 Oh, and if you did not notice, in the right-hand column of this blog, there is a whole category of posts dedicated to Soups, Stews, and Chowders. So anyways, enough swooning over soup. I started with a solid base of veggies: onion (I used one giant sweet onion instead of the two requested in the recipe – that just seemed like too much onion, even for me! 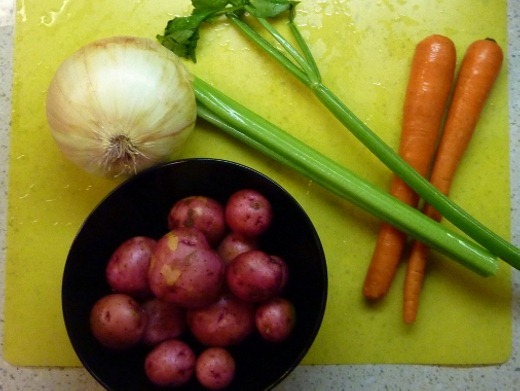 ), celery, carrots, and red potatoes (from my CSA!). Yeah. So. Anyways. Before cooking, I DID actually rinse + sort through this suckahs to “ensure” their “quality,” as the package says, which really means “make sure there aren’t any rocks in here.” Typically I’m pretty skeptical and don’t expect to find rocks or “foreign debris” in my pre-packaged food. I mean, it’s 2011, aren’t we supposed to have high-tech equipment that does this!? But nope, lo and behold, I found a freaking rock in these suckahs. Yeah, so watch out kids. Okay, let’s get back up to speed. 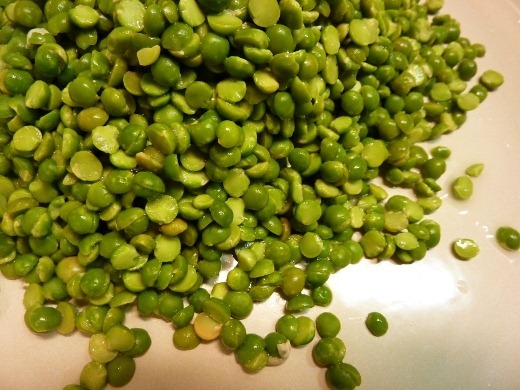 In LC, we’ve got one shizton of chopped veggies + water + split peas + veggie bouillon. Then I added cubed ham to the pot. 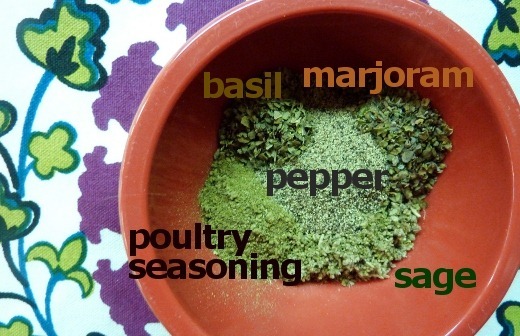 Lots of seasonings also went in the pot! Once everything was combined, I simply let the soup simmer for 90 minutes. I actually made this soup the night before and it was all ready to go once I got home from work tonight. I simply reheated and served with some doctored-up cheese and garlic biscuits. 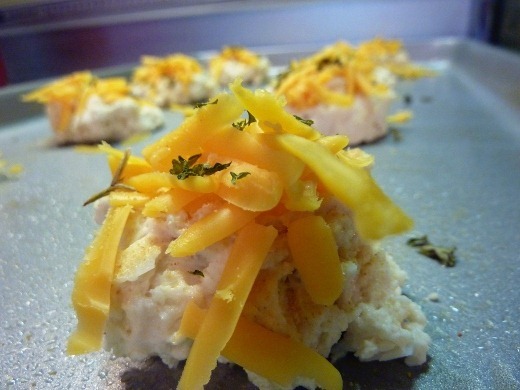 And by doctored-up, I mean I mixed Kroger value brand biscuit mix with water, and topped with garlic powder, cheddar, and dried parsley. Turned out wonderfully, after baking for about 8 minutes. They were still a tad raw in the middle, which is my favorite way to enjoy them. I have an odd love for raw biscuit mix. Some people like raw cookie dough. But me, I’ll take a bowl of raw biscuit mix and a spoon. Kthxbai! You know what song I heard on the radio during my commute this evening? Bad Touch! Oh hell yeah! Remember this song? It remind me of seventh grade, when my young naïve self probably didn’t understand several of the lines.